Arctic warming started in 1919.
from August 1914 to November 1918? The armistice had just been signed in November 1918 when Spitsbergen experienced an extremely warm winter. First World War activities at sea seem to have initiated a significant shift in the climatic patterns in the northern North Atlantic. Suddenly the temperatures made a jump. The change was so pronounced that the scientific community spoke of the ‘Greening of Greenland’ during the 1920s and the ‘Warming of Europe’ for two decades thereafter. All that stopped with the commencement of WWII. 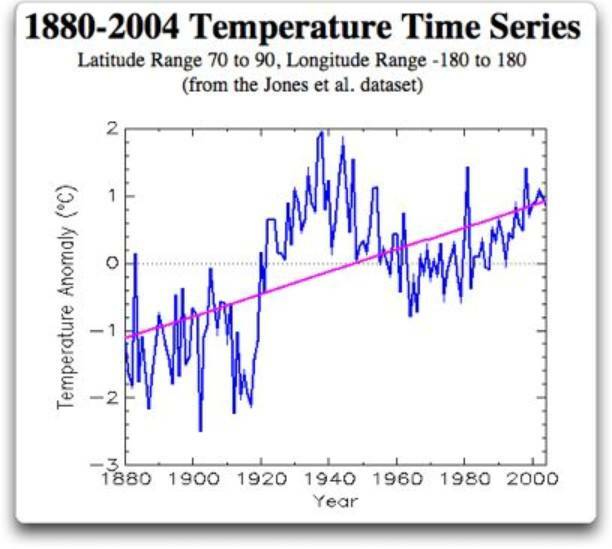 In 1940 the global mean temperatures stopped rising and in some areas even dropped considerably. This also seems to have drained away the interest in identifying the reasons for the ‘Warming of Europe’ in the 1920s and 1930s.